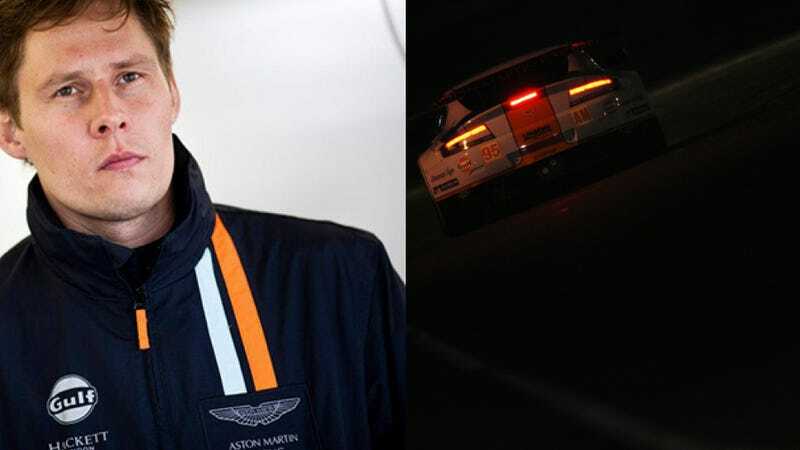 Danish racing driver Allan Simonsen was killed at the 81st 24 Hours of Le Mans today, after his No. 95 Aston Martin spun off the track. He was 34, and this was his seventh time participating in the race. It has been 16 years since the last fatality at Le Mans, when Sébastien Enjolras was killed in practice for the 1997 race in his Peugeot.